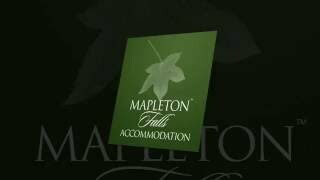 Experience the excellent service of the award winning original Mapleton Falls Accommodation with nature and Great Walks at your doorstep. Offering four boutique self-contained apartments with heavenly views from each deck. Peacefully set on three picturesque acres and just a short stroll to falls. Apartments are available individually or the entire property may be booked for that perfect small group get together, family holiday, health retreat, elopement, wedding ceremony or simply for a relaxing getaway. 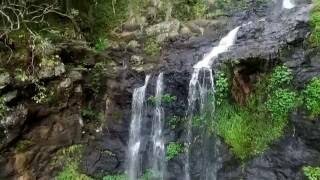 Conveniently located on the Sunshine Coast Hinterland Great Walks and just 200 metres from Mapleton Falls National Park with breathtaking views of the Obi Obi Valley. Enjoy scenic drives through the hinterland to local townships of Mapleton, Flaxton, Montville, Maleny and Eumundi. Only 30 minutes to Sunshine Coast surf beaches and airport. Explore and discover some of the areas great attractions, cafes, markets, wineries, cheese factories, observatories, parks, nature and more. Take time out and reconnect. Singles, couples, families and friends. Pet friendly (strictly by prior arrangement). Fully self contained one bedroom apartment with evolving gardens, natural bushland and beautiful rolling hill views. Queen bed and single bed in the same bed room. Combined lounge, dining, kitchen area. Bathroom with shower, toilet and vanity. Own laundry with washing machine. Complimentary essential 'start up' of plunger coffee, instant coffee, selection of teas, sugar, fresh milk, toiletries and other little extras they don't mention. Fully self contained two bedroom apartment with evolving gardens, natural bushland and beautiful rolling hill views. Main bedroom one queen bed, second bedroom one queen plus one single bed. Separate lounge, dining, kitchen area. Bathroom with shower, toilet and vanity. Own laundry with washing machine. Complimentary essential 'start up' of plunger coffee, instant coffee, selection of teas, sugar, fresh milk, toiletries and other little extras they don't mention. Mapleton Falls House is a beautiful historic farm house across the road from the apartments, it features a double sided fireplace, there are four bedrooms sleeping eight people. Situated on a farm with chickens and cows and beautiful farm views. 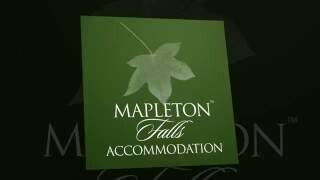 It's just 100 metres walk to Mapleton Falls. Also enjoy a large outdoor fire-pit under the stars.